Violinist Julian Rhee has been establishing himself as a prominent musician and performer across the United States. The first prize winner of the Johansen International Competition in Washington DC, Julian was also awarded the Pablo Casals Prize for Best Performance of Solo Bach, the Allen R. and Susan E. Weiss Memorial Prize for Best Performance of the Commissioned Work, and the Elaine H. Klein 2nd Prize Award at the Irving M. Klein International String Competition. In January of 2018, Julian was named a Finalist Winner of the 2018 National YoungArts Foundation, and performed at the New World Center in Miami. Subsequently, Julian appeared at the John F. Kennedy Center as a 2018 Presidential Scholars in the Arts and received his medal at the White House. 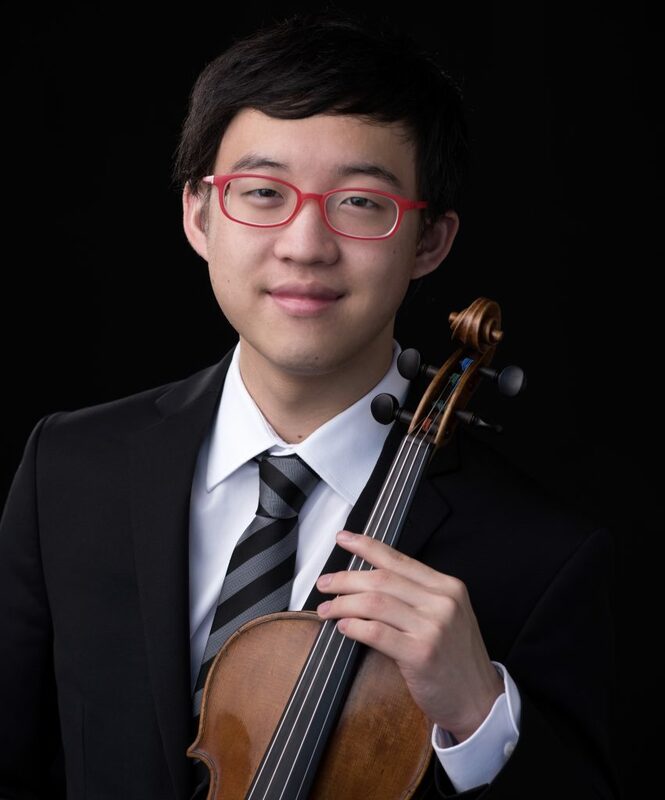 This past summer, Julian was the recipient of the Dorothy Richard Starling Foundation Scholarship and was named the winner of the 2018 Aspen Music Festival Violin Concerto Competition, where he performed with the Aspen Philharmonic Orchestra at Benedict Music Tent. In addition, Julian was awarded the prestigious Dorothy Delay Fellowship. An avid soloist, Julian made his Milwaukee Symphony Orchestra debut at age 8, and has gone on to perform with orchestras such as the Pittsburgh Symphony Orchestra, Eugene Symphony Orchestra, the Madison Symphony Orchestra, the Avanti Symphony Orchestra, West Suburban Symphony Orchestra, the Wisconsin Philharmonic, the Lacrosse Symphony Orchestra, and the Wisconsin Chamber Orchestra. In June 2017, Julian toured across Argentina and Uruguay performing Brahms Concerto as the guest soloist. He has performed in an array of venues including Ravinia’s Bennett Gordon Hall, Heinz Hall, the Overture Center for the Arts, Teatro El Círculo in Rosario, Argentina, The Musikverein in Vienna, Bartok Hall in Hungary, New World Center, and the John F Kennedy Center. This coming July, Julian will perform Bruch’s Scottish Fantasy with the San Diego Symphony. A passionate chamber musician, Julian’s performance on violin and viola earned him and his String Quartet first prize in the 2018 A.N. & Pearl G. Barnett Chamber Music Competition and Rembrandt Chamber Music Competition, and Gold Medals at the Fischoff National Chamber Music Competition and the M-Prize International Chamber Arts Competition. Julian has appeared alongside internationally renowned ensemble Time for Three on National Public Radio’s From The Top; on WFMT’s Introductions, Milwaukee Public Radio, Milwaukee Public Television, and Wisconsin Public Radio and Television. Julian shares his passion for music by serving in the local community as an assisting artist and mentor of the Wisconsin Intergenerational Orchestra (WIO), which brings together musicians of all ages and skill levels in a challenging, non-competitive environment. In addition, he regularly speaks and performs at schools and retirement homes in Wisconsin and Illinois, most recently at West Bend High School and North Shore Country Day School as its Susan Marshall Artist. Julian studied with Almita and Roland Vamos as a scholarship recipient at the Music Institute of Chicago Academy. He is a graduate of Brookfield East High School as Class President and Valedictorian. He is currently pursuing a Bachelor of Music degree with Miriam Fried at the New England Conservatory.